Install CloverDX Designer, see its documentation for details. Designer can be installed as a standalone application or as an Eclipse plugin. 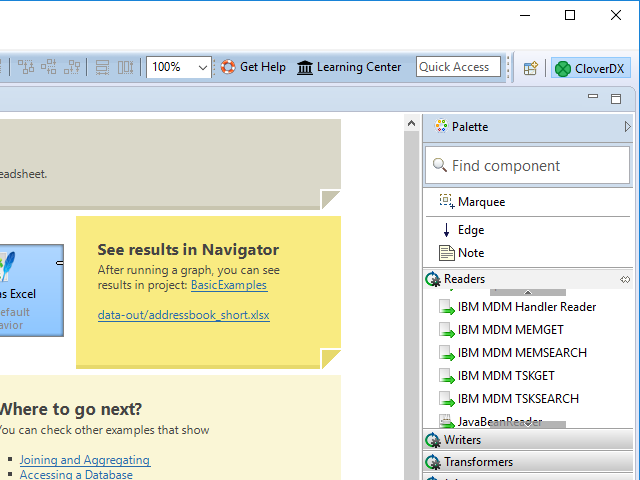 In the Work with: text box, enter the update site location for IBM InfoSphere MDM Components, e.g. http://download.cloverdx.com/ibm-mdm-update. See Downloading for update site locations. 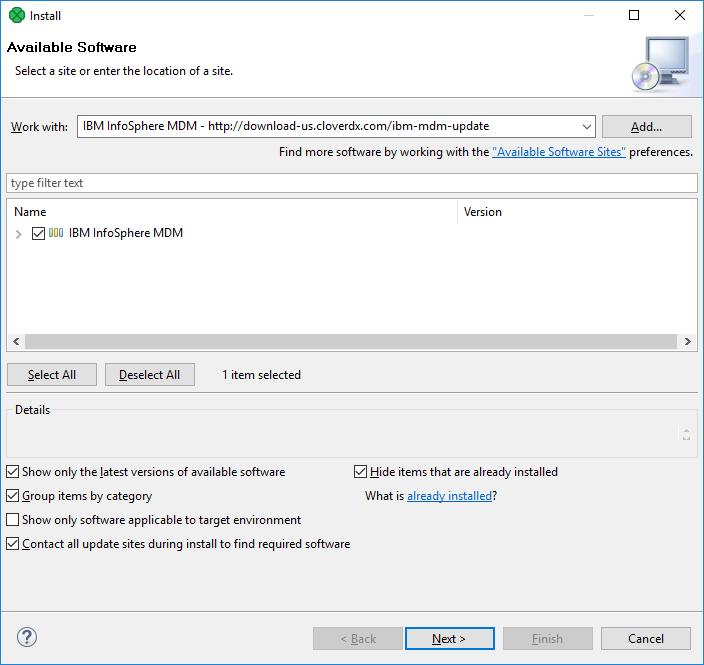 Select all IBM InfoSphere MDM Components plugins by enabling the checkbox to the left of IBM InfoSphere MDM, click on Next button and proceed with the wizard. After finishing the Install wizard and installing the plugins, you will be asked to restart Eclipse. After restarting, the IBM InfoSphere MDM Components are available for use. If the Designer is reinstalled then it's necessary also to reinstall the IBM InfoSphere MDM plugin. If CloverDX Designer detects an older version of any plugin, the plugin is disabled until it's upgrade.